Helena ‘Helen’ (Johnston) Martens was born in Gruenfeld, SK. on March 24, 1921, to Klaas and Maria Peters. 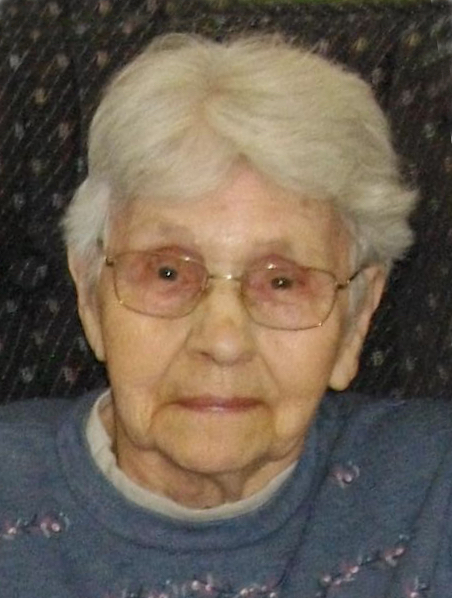 She passed away on November 29, 2018 at the Mennonite Nursing Home, Rosthern. She is survived by her children, David (Carol) Johnston, Margaret Wilkie, William (Viola) Johnston, Barbara (Murray) Epp, Brenda McAlpine (Tom Ankenbrand); 13 grandchildren and 11 great grandchildren. She was predeceased by her: first husband John Johnston, second husband David Martens, daughter Linda Johnston, son-in-law Albert Wilkie, and all her siblings. The Memorial Service will be held Thursday, December 6, 2018, at 2:30 PM at the Rosthern Mennonite Nursing Home Auditorium, Rosthern, SK. Arrangements are in care of Funk’s Funeral Home, Rosthern, SK. (306-232-5245, http://www.funksfuneralhome.ca).